Huff-Watch: HuffPost front-page headline: Romney chased by "pack of Jews"
See updates at end: HuffPost digs in deeper, posts another egregious lie. This "pack" of (wild!) 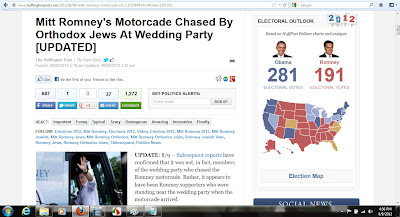 Jews was actually members of a wedding party in Lakewood New Jersey, one female member of which told the Secret Service, "We just want(ed) to see Romney." Thank goodness the Secret Service was so vigilant --- after all, who knows what kind of horror that an unrestrained "pack of Jews" could do??? Anyone with even a passing knowledge of how HuffPost operates knows well that if it found out that a "right-wing" online "news" paper ran a headline story that claimed Obama was "chased by a pack of..." African Americans, or Sikhs, or Muslims, Arianna would have gone apoplectic, claiming that such an incident shows how "racist" conservatives are. 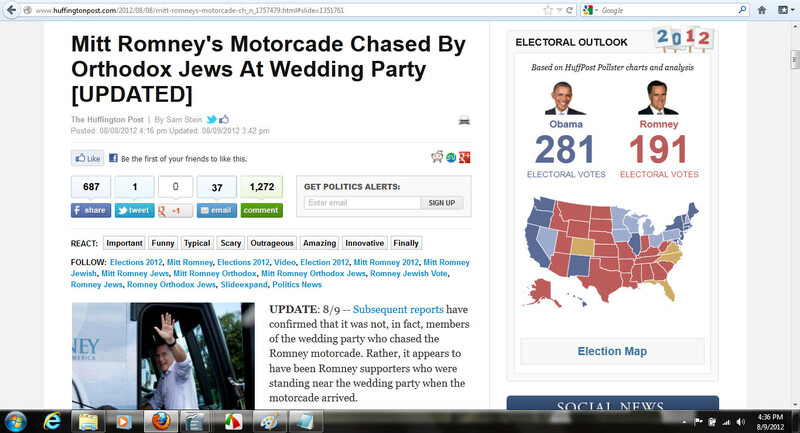 UPDATE August 9, 4:45pm: HuffPost changes headline --- but lies again, digs in deeper; falsely claims "Romney was chased off by wedding party"
And based on what evidence does HuffPost make this claim? Well, it doesn't say. An Orthodox Jewish wedding party was taking pictures outside Lake Terrace, according to the pool report, but as the candidate’s car drove up, “the family abandoned the bride and groom and began chasing Romney’s car in the parking lot, waving cameras.” About 10 wedding guests followed Mr. Romney’s car to a back entrance, but they were ultimately stopped by the Secret Service. “We just want to see Romney,” one woman protested, according to the report. Mr. Romney ultimately fulfilled that wish. 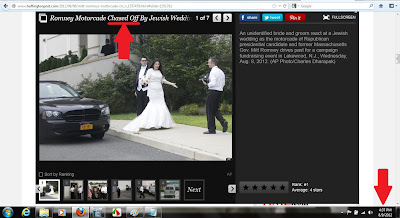 A campaign spokesman said the candidate posed with the bride and groom, who told him they were supporters. 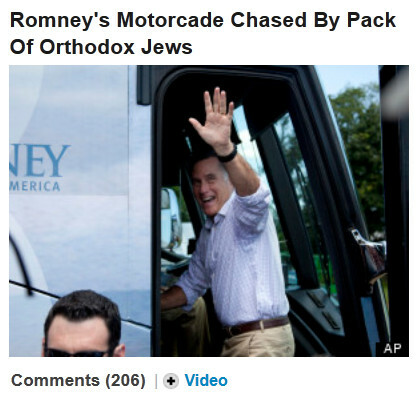 So once again, HuffPost published lies, in a manner that could only serve to (a) incite hatred against Jews based on false allegations, and (b) give the false impression that Romney is hated within this Jewish community. Do you believe any of that --- or Arianna's repeated claims that HuffPost is a "nonpartisan" newspaper? If so, we'd encourage you to contact Arianna as soon as possible; she's also selling timeshares on Uranus --- get yours before they're all sold out! 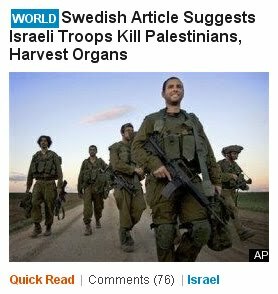 This is a most disgusting headline. What do you mean by a "pack" of jews. I can only imagine the outcry if the headline had read "chased by a pack of blacks". SHAME ON YOU!! !